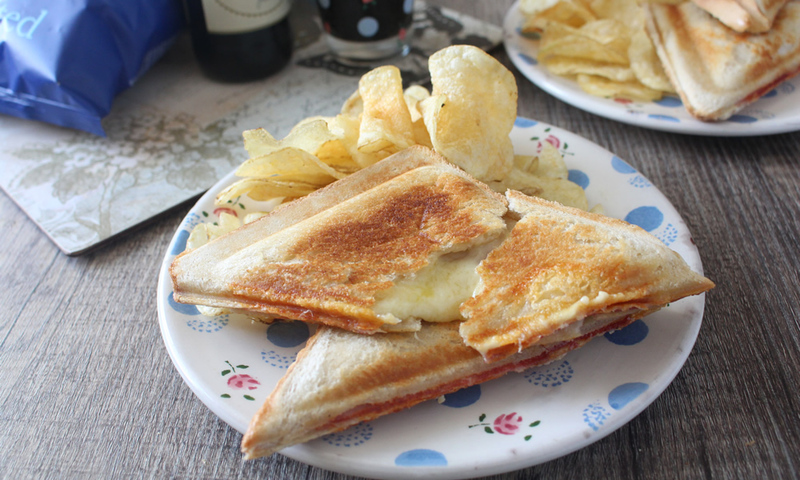 My first memories of a cheese toastie were the ones made on the hotplate of my parent’s Aga so squished by the heavy lid most of the cheese had seeped out before you had a chance to eat it. They just couldn’t compete with the ones in cafes with those crispy sealed edges and the molten cheesy goodness contained in the triangle pockets. Over the years I think I’ve now owned about 4 makers varying in size and price. Most of them last a few months before something breaks on them, usually the handle or the non-stick coating just comes away. Luckily I think I’ve now found the right one. I bought the Cuisinart sandwich maker about 2 years ago and I’ve used it a lot. Usually in 3 week stints of eating nothing but cheese toasties. 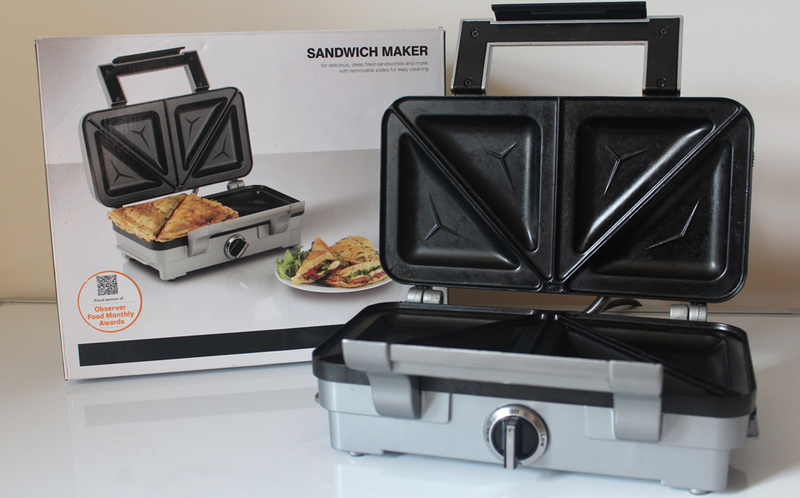 The build quality is very good and it is extremely sturdy, but that is what I would expect if you fork out nearly £50 on a toastie maker! This is the first crux that I have, the fact that it is about double the price of most of its competitors. I do think that if it was nearer the £30-£35 they would sell more. The best “pro” I can give is the fact I’m still using it! I’ve had no problems with the non stick coating and there isn’t even a hint of wear that a lesser brand toastie maker would have after just a few months of use, never mind 2 years. I think that this has a big part due to the quality of the coating and its removable plates that can be easily washed in the sink. The makers say that they are dishwasher safe but I’m very wary of putting anything like this in a dishwasher and I’d just rather not risk it. Another good feature is the temperature control especially if you want to vary the “toastiness” of the sandwich. It’s also a good feature if you want to try other non bread related foods such as omelettes or even better triangle donuts/waffles. The second slightly disappointing aspect of this toastie maker (the first being the price) is that it is advertised to have “deep fill” pockets and although they are probably slightly deeper than most makers, I was expecting them to be a lot deeper. The final issue I have with the Cuisinart sandwich maker is that to this day I haven’t been able to track down the size of bread it seems to have been made for. No matter the brand of bread there is always a gap of a centimetre or so. This means that one side of the sandwich doesn’t get sealed properly causing a little leakage. It’s not a massive problem but it does seem odd to me that it doesn’t cater for standard mainstream UK bread sizes. Overall the Cuisineart sandwich maker is one of the best I’ve come across, the build quality and longevity is extremely good. Easy to clean, maintain and above all makes great toasties. Despite some issues with the size and deepness, it is worth picking you if you have a toastie craving. Currently you can buy one from Amazon at £45 here.